Professional-grade Masterpiece Tahoe Cotton Canvas works well with oil and acrylic paints. Heavy 10 oz, 100% cotton canvas is sized and triple-primed with archival-quality acrylic gesso for a finished weight of 14.6 oz. 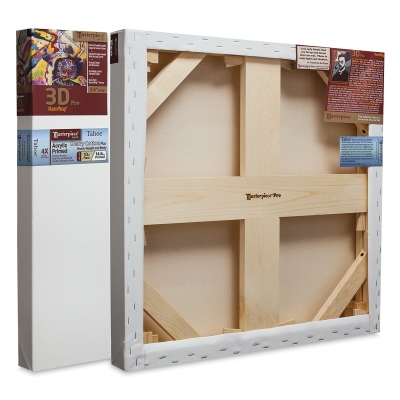 Its surface texture is smoother and more supple than other heavyweight canvas. ® Masterpiece is a registered trademark.™ Tahoe is a trademark. ™ 3D is a trademark. ™ MuseumWrap is a trademark.